Luxury soft touch notebook with ruled pages and elasticated closure band. 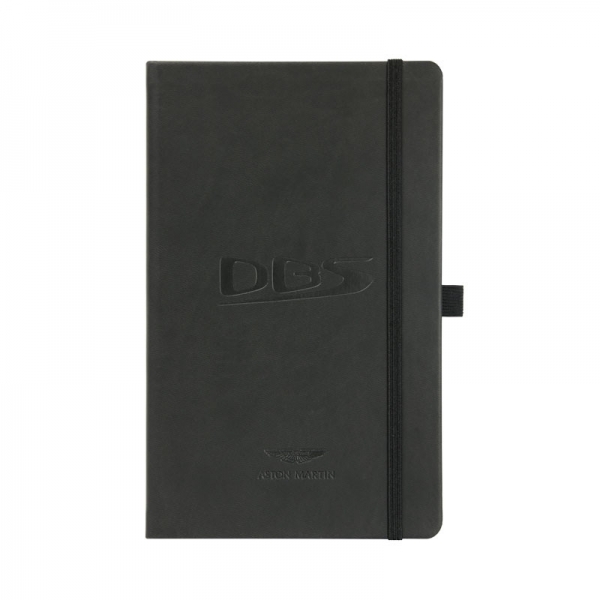 Comes supplied in black and is embossed to the front cover with the DBS logo and the Aston Martin logo. Related links to "DBS Notebook"